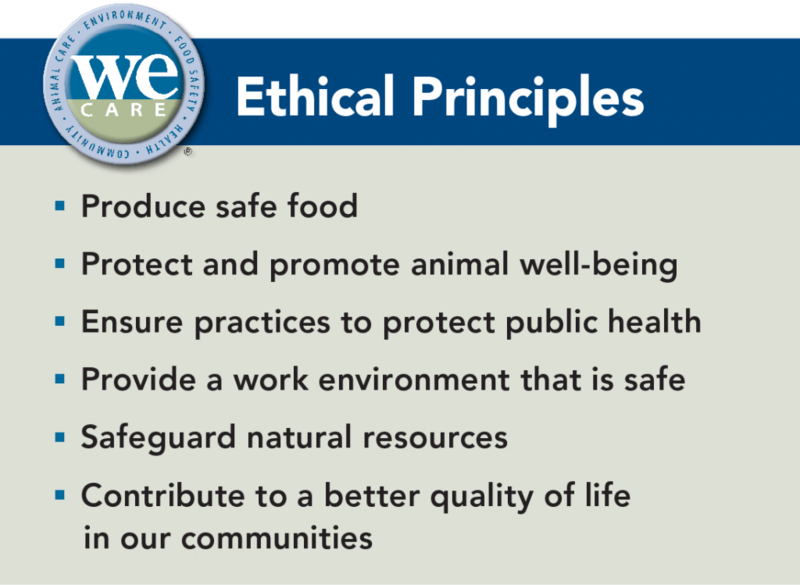 The pork industry’s We Care Initiative helps demonstrate that pork producers are committed to the well-being of their animals. The initiative encompasses pro­ducers’ pledge to produce safe food, while being good stewards of the environment and being good neighbors. The pork industry offers numerous pro­grams, including Pork Quality Assurance® Plus (PQA Plus®) and Transport Quality Assurance® (TQA®), to support animal well-being and main­tain a safe, high-quality supply of pork. The initiative ties everything together to help the public view the pork industry as a self-regulated business that earns the trust of others. These pro­grams are designed to help producers tackle issues facing modern pork production and are considered industry standards.